1. Framing a charge and issuing a letter: When an employee commits an act of misconduct that requires disciplinary action, the employee concerned should be issued a charge sheet. Charges of misconduct or indiscipline should be clearly and precisely stated in the charge sheet. The charge sheet should also ask for an explanation for the said delinquent act and the employee should be given sufficient time in answering this. 2. Consideration of explanation: On getting the answer for the letter of charge served, the explanation furnished is considered and if it is not satisfactory then disciplinary action need be taken. On the contrary when the management is satisfied with the employee’s explanation there is no need for serving a show cause notice. 3. Issuing show cause notice: Show cause notice is issued by the manager when he is convinced that there is sufficient prima facie evidence of employee’s misconduct. However, this gives the employee another chance to account for his misconduct vis-à-vis. The charges made against him. Inquiry should also be initiated by first serving him a notice of inquiry indicating clearly the name of the inquiring officer, time, date and place o inquiry, etc. 4. Making a full-fledged inquiry: In conformity with the principle of natural justice, the employee concerned must be given an opportunity of being heard. 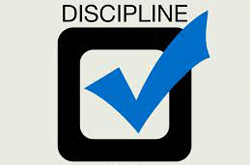 When the process of inquiry is over and the findings of the same are recorded, the Inquiry Officer should suggest the nature of disciplinary action to be taken. 5. Passing the final order of punishment: Disciplinary action is to be taken when he misconduct of the employee is proved. While deciding the nature of disciplinary action, the employee’s previous record, precedents, effects of disciplinary action on other employees, etc., have to be considered. When the employee feels that the inquiry conducted was not proper and the action taken is unjustified, he must be given a chance to make an appeal. 6. Follow up: After taking the disciplinary action, a proper follow up action has to be taken and the consequences of the implementation of disciplinary action should be noted and taken care of.